Ex-Vice President Joe Biden has come under scrutiny after former Nevada lawmaker Lucy Flores accused him of smelling her hair and kissing the back of her head without her consent during a 2014 campaign rally. Six additional women have come forward with similar claims, and Biden has apologized and promised to "be more mindful about respecting personal space in the future." Some have condemned Biden amid the claims and pointed to his long-documented history of being touchy toward women, men, and children, while others have defended his character and criticized the negative reaction as a mob mentality. Check out some other big stories this week: Senate Republicans Use 'Nuclear Option' to Advance Trump Nominees, Trump Says No Vote On GOP Health Plan Until After The 2020 Election, and Trump Says He Will Close Border Next Week If Mexico Doesn't Stop Sending Migrants. Join the National Week of Conversation! From April 5 - 13, the National Week of Conversation offers a bold, annual occasion when people with diverse perspectives #ListenFirst to understand. Through in-person and virtual conversations happening coast to coast, people of all stripes convene to mend our frayed social fabric. Help revitalize America — one conversation at a time. "I’m not suggesting that Biden broke any laws, but the transgressions that society deems minor (or doesn’t even see as transgressions) often feel considerable to the person on the receiving end. That imbalance of power and attention is the whole point — and the whole problem." "What we all are learning, we should hope, is that we should respect women who have the courage to come forward about their experiences with unwanted physical contact. They deserve the benefit of the doubt both about their versions of events and about how they were made to feel. But it is also important — and a sign that a social movement is maturing into a social norm — to recognize that not every offense is of equal severity." "While I am not questioning anyone else's experiences with Biden -- and at times it may have caused discomfort -- there is no doubt in my mind that his penchant for showing affection has absolutely nothing to do with him not respecting a woman's agency over her own body. "Everyone is entitled to due process and the perception of innocence. But the problem here for Joe Biden is there are dozens and dozens of pictures and videos of showing these kind of encounters. Biden offered a half-hearted apology, saying he doesn't believe he ever acted inappropriately. So, that brings us to a very important question: Will the Democratic Party hold Biden to the same "Believe all women-zero-tolerance" standard that they have utilized so vigorously against Republicans? And by the way, where are all the Judge Kavanaugh "I believers"?" "So let’s get this straight, straight off the top: Just because someone seems nice, doesn’t mean that person can’t also be a creep. Just because someone carries groceries for a neighbor, helps an elderly lady across the street, smiles and tells jokes and charms groups of people, doesn’t mean they’re Polly pure on the inside." "The former US vice-president posted a video on Twitter saying he will in future respect personal space. Mr Biden stressed he has only ever intended to build a 'human connection', rather than make anyone uncomfortable." "Flores could not immediately be reached for comment on Wednesday. She supported U.S. Senator Bernie Sanders during his 2016 Democratic presidential campaign. Sanders is running again, and his campaign has denied any involvement in her going public with her story." 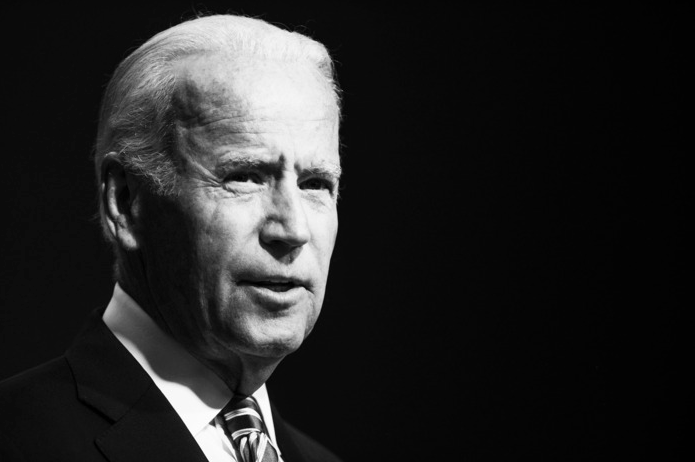 "My own little story about Mr. Biden in 2006 is not a #MeToo moment. Far from it. Having been a reporter in the old Soviet Union, I know what inappropriate male behavior toward a female reporter looks and feels like. I just thought Mr. Biden was a character, and yes, a bit too touchy-feely for my taste. Now, in the year 2019, we may be about to learn if Uncle Joe can bring his style up to date – and still hold on to his essential political quality as a 'people person. '"Discover more on this topic on AllSides.